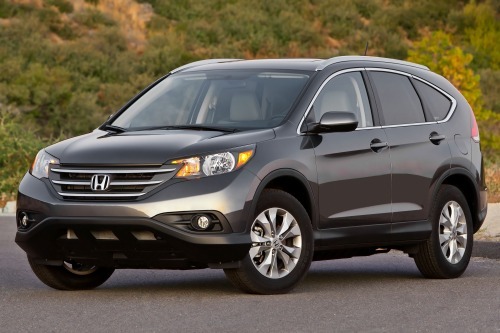 Affected by Thursday’s recall are nearly 205,000 model year 2012-2013 Honda CR-V, Odyssey and 2013 Acura RDX vehicles. The vehicles in question may suffer from a brake shift interlock problem, which may result in the vehicle’s transmission shifting out of Park without employing the brake pedal. As a result, the vehicle may roll away, increasing the risk of a crash, according to the National Highway Traffic Safety Administration. The safety defect is more likely to occur in sub-freezing temperatures, said Honda. Honda’s roll away recall impacts 128,000 Honda CR-V SUVs, 59,000 Honda Odyssey minivans and 17,500 Acura RDX vehicles; all of which were sold in the United States. The Japanese automaker first identified the shifter problem in September 2012 during an internal investigation. Honda concluded its investigation earlier this month, determining that a noncompliance exists. No customer complaints, crashes or injuries have been reported related to the problem, according to Honda. Honda will begin notifying customers of the recall in mid-May. Authorized Honda and Acura dealers will install an updated brake shift interlock blocking mechanism at no cost to the owner. In the meantime, owners may contact Honda at 1-800-999-1009. Honda’s campaign recall numbers are S96, S97 and S98. Concerned owners may also contact the National Highway Traffic Safety Administration’s Vehicle Safety Hotline at 1-888-327-4236 or go to www.safercar.gov. The NHTSA campaign number is 13V143000. The recall comes just one week after Honda recalled over 1.1 million model year 2001-2003 Honda Civic, 2002-2003 Honda CR-V and 2002 Honda Odyssey vehicles due to a passenger airbag defect. Affected models may contain a faulty passenger front airbag inflator, which may deploy with too much force, causing the inflator to rupture. Consequently, the bursting inflator could send pieces of shrapnel flying at the front passenger. Honda is aware of one crash in which a front passenger airbag inflator ruptured. Honda’s massive airbag recall involves about 680,000 vehicles in North America; 270,000 in Japan; and 64,000 in Europe. The recall also affects certain vehicles in Latin America, China, the Middle East and Africa. In the US, Honda is voluntarily recalling 426,000 Civics, 43,000 CR-Vs and 92,000 Odysseys. Click here to read Torque News' coverage of Honda's 1.1 million vehicle airbag recall. Like Thursday’s recall, the airbag recall is expected to begin in May. Authorized Honda dealers will replace the defective canisters that house the propellant that activates the airbags at no cost to the owners. The repair will take approximately an hour and a half, according to Honda.